Gorkha Janamukti Morcha (GJM) general secretary Roshan Giri on 12 June sought Centre's intervention in the political turmoil in the state. "This is particularly officer's strike. We want the Central Government to intervene in the matter now. This is a political problem and not a law and order problem. Deploying forces will not help," Giri said. Earlier, Giri had said that a delegation of members of the GJM would call on Prime Minister Narendra Modi and Home Minister Rajnath Singh to apprise them about the 'Gorkhaland movement'. The GJM called for an indefinite strike from today demanding a separate state of 'Gorkhaland'. "We will go on strike from Monday. Bengal government takes so much revenue from us but it only encroach our territory. We want our Gorkhaland and will not negotiate on this matter. We will not do any violence," Gorkha Janamukti Morcha (GJM) president Bimal Gurung told ANI. Meanwhile, the GJM general secretary said that an all party meeting has been called on June 13 to discuss the matter. "Offices of Gorkhaland Territorial Administration, Bengal government and Central Government will be closed from Monday. Court will be open. Banks will be open on Monday and Thursday. School and colleges have been exempted from bandh. 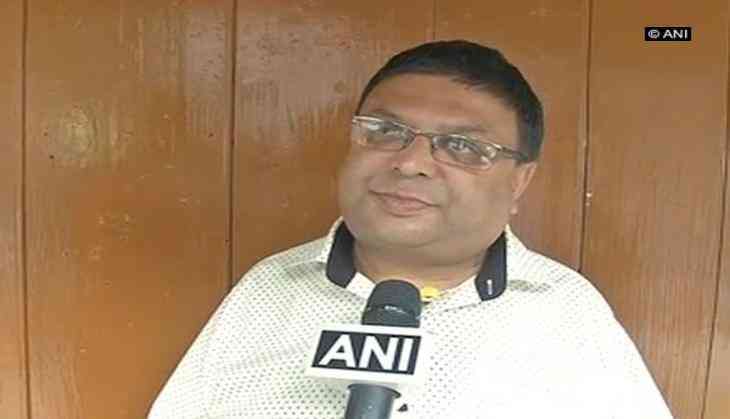 We appealed to put all sign boards in Darjeeling, Kerseong, Kalimpong, Mirik and other places in Nepali and English," Giri told ANI. "We have also written to Home Minister Rajnath Singh apprising him as to how West Bengal suppresses us," he added. On Saturday, Gurung asked West Bengal Chief Minister Mamata Banerjee not to do or promote 'divisive' politics in the state. "I request Mamata Banerjee that she is a chief minister and she must not do divisive politics. Her dictatorial politics will find a place in the Guinness book soon," Gurung told ANI. He assured that the GJM will talk to the Centre as the state government is trying to suppress Gorkhaland for her own political interest. "We will talk to the Centre and will send a letter to Prime Minister and Home Minister as well regarding all the atrocities. The state government is doing to suppress Gorkhaland for her own political interest," he said. Chief Minister Banerjee has branded the GJM protest as 'abhorrent' and appealed to the people of the region to maintain peace. The GJM supporters are also protesting against the alleged imposition of Bengali in the schools of the hills. The agitation arose from an announcement made by Mamata Banerjee earlier that Bengali would be taught compulsorily up to Class 10 in the state schools. After the GJM cadres clashed with the police following their protests against Mamata's visit to Darjeeling and her decision to make Bengali compulsory in syllabus of schools across the state, the Army was called in to control the situation. According to reports, the protest led by the GJM turned violent after protesters resorted to vandalism as they torched police vehicles and attacked policemen.